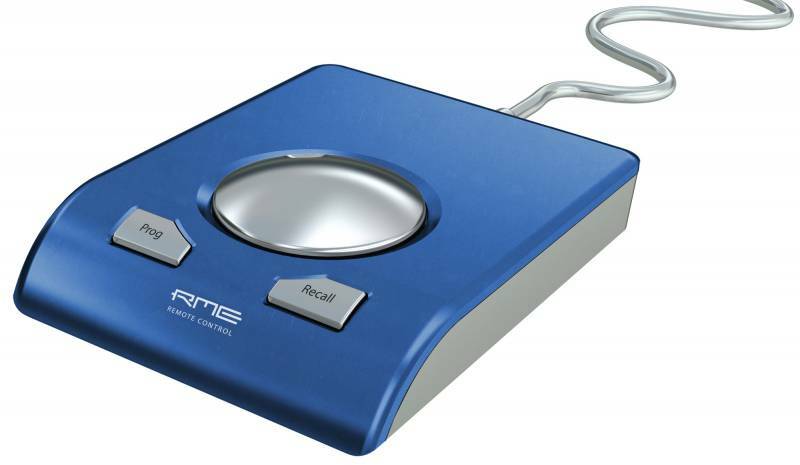 The BRC provides a solid metal case with a main encoder dial, two push buttons and a 5 m (16 ft.) cable. The BRC connects to a special port on the back of the main unit. - Prog button can be assigned to 17 different functions with 42 variants. Among them are Talkback, Speaker B, Mono, Mute, External Input, Cue, recall of a mixer snapshot and many more. - Volume control of the monitoring outputs. The controlled output is assigned in TotalMix FX, either Main or one of up to 4 Phones outputs are selectable.